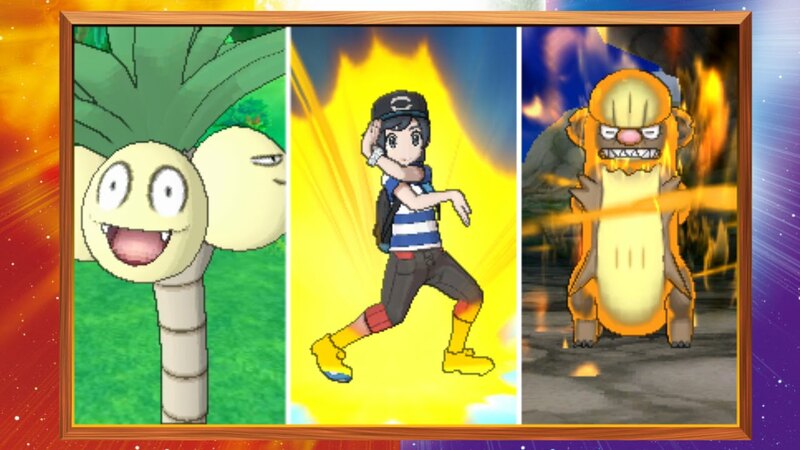 Unlock new Z-Moves in Pokemon Sun and Moon with all the Z-Crystal locations we’ve found in the Alola Region. These rare crystals help your trainer unlock Z-Moves — powerful attacks you can only use once per battle. They’re totally devastating, with unique (and flashy!) animations showing up a coordinated dance between Pokemon and Trainer. Basically, you’ll want all the Z-Moves. They’re worth it just to see those cute dances. Z-Moves are also crazy powerful, and crystals are available to collect even very early into the story. Most are hidden behind obstacles, so you’ll need some very specific Pokemon to bust through and reach these secret alcoves. Don’t worry, we’ll provide all the details you need to find every single hidden Z-Crystal. Check out the locations guide below. Z-Crystals are required to use Z-Moves in Pokemon Sun and Moon. Follow the steps here to reach the hidden locations. There are 18 Z-Moves, one for each type, and specific Z-Moves that only certain Pokemon can use. Z-Moves can only be used when a Pokemon and a trainer have a Z-Crystal, and after earning the Z-Ring at a certain point in the adventure. Normalium Z (Normal Type): Melemele Island, Verdant Cavern – Reward for completing Ilima’s Island Trial on Melemele Island. Pikanium Z (Pikachu Only – Volt Tackle): Akala Island, Konikoni City – Given by the Pikachu trainer north of the Pokemon Center in Konikoni City. Look for the woman with three Pikachu near the cliff. Aloraichium (Raichu Only – Thunderbolt): Poni Island, Seafolk Village – Talk to the woman sitting in the right chair, inside the Steelix ship. She will only give you the crystal if you have a Raichu. Buginium Z (Bug Type): Ula’ula Island, Po Town – Found in Guzma’s chest in the Shady House, next to his throne. Darkinium Z (Dark Type): Ula’ula Island, Malie City – Reward for completing Kahuna Nanu’s Grand Trial. After becoming champion and completing the main story, Hau will give you the other two Starter Pokemon Z-Crystals. Dragonium Z (Dragon Type): Poni Island, Vast Poni Canyon – Reward for defeating the Totem Pokemon. Eevium Z (Eevee Only – Last Resort): Akala Island, Royal Avenue – Complete the main story and return to the Thrifty Megamart. Talk to the man at the register and he’ll send you on a quest to battle 8 trainers. Defeat all 8 and return to get the Eevee Z-Crystal. Vaporeon Trainer: Melemele Island, Trainer School — Third floor, on the right. Flareon Trainer: Akala Island, Tide Song Hotel – Janitor in the back of the hotel. Jolteon Trainer: Ula’ula Island, Malie Community Center – Old woman on the right, watching TV. Espeon Trainer: Ula’ula Island, Geothermal Power Plant – Old man in the front row in the museum / visitor room. Umbreon Trainer: Melemele Island, Hau’oli Cemetery – Back-left corner of the graveyard. Glaceon Trainer: Melemele Island, Iki Town – Woman in the house on the western side of town. Leafeon Trainer: Akala Island, Hanu Beach – Swimmer under the umbrella on the northern edge of the beach. Sylveon Trainer: Poni Island, Seafolk Village – The child to the right in the Steelix houseboat. Electrium Z (Electric Type): Ula’ula Island, Hokulani Observatory – Reward for completing Sophocles’ trial. Fairium Z (Fairy Type): Poni Island, Vast Poni Canyon – Given by Mina when you encounter her. Fightinium Z (Fighting Type): MelemeleIsland, Iki Town – Reward for completing the Kahuna Hala’s Grand Trial. Firium Z (Fire Type): Akala Island, Wela Volcano Park – Reward for completing Kiawe’s trial. Flyinium Z (Flying Type): Melemele Island, Ten Carat Hill – Go to Ten Karat Hill (Ride Tauros to break small boulders from town.) and find the shortcut to you hometown. In the lower-left corner of the cave, there’s a large light-colored boulder. Push the boulder with Machamp Shove to open the path. Ghostium Z (Ghost Type): Akala Island, Thrifty Megamart – Reward for completing Acerola’s trial. Grassium Z (Grass Type): Akala Island, Lush Jungle – Reward for completing Mallow’s trial. Groundium Z (Ground Type): Poni Island, Vast Poni Island – Reward for completing Kahuna Hapu’s Grand Trial. Icium Z (Ice Type): Ula’ula Island, Mount Lanakila – Starting from Tapu Village (Ula’ula Island), take the large lift north of the Pokemon Center up to the mountain. At the top, enter the cave. In the cave, make these turns at the forks in the road; north, east, south. You’ll stumble right into the Ice Z-Crystal, no barriers up here. Poisonium Z (Poison Type): Poni Island, Ancient Poni Path – Given by Plumeria after defeating the Team Skull members before reaching Vast Poni Canyon. Check the stones for path directions. Cross the mud path with Mudsdale Gallop. The Z-Crystal is found in the last area you enter. Rockium Z (Rock Type): Akala Island, Ruins of Life – Reward for completing Kahuna Olivia’s Grand Trial. Steelium Z (Steel Type): Ula’ula Island, Hokulani Observatory – Reward for completing Sophocles’ trial. Tapunium Z (Tapu Only – Nature’s Madness): Melemele Island, Ruins of Conflict – Given after capturing Tapu Koko in the post-game adventure. Waterium Z (Water Type): Brooklet Hill – Reward for completing Lana’s trial. Snorlium Z (Snorlax Only) – Carried by Mystery Gift Munchlax – available until Jan. 11, 2017. Marshadium Z (Marshadow Only – Spectral Thief): Unknown. Mewnium Z (Mew Only – Psychic): Unknown. There are lots more Z-Crystals in Pokemon Sun and Moon. Check back soon as we reveal where to find them all.